Boarding Buddies is a program developed by Pawtastic Friends to help dogs that are in boarding while they wait for their forever home. Volunteers come and walk them, socialize and treat them to goodies. And they get lots of furry loving kisses. RockStar Dogs founder and photographer Anneli Adolfsson helps out by taking pictures of the dogs that she walks and makes little videos to show what precious fur babies are waiting for their forever homes and loving families. For more information about any of the adoptable dogs, please contact Pawtastic Friends or Animal Network. 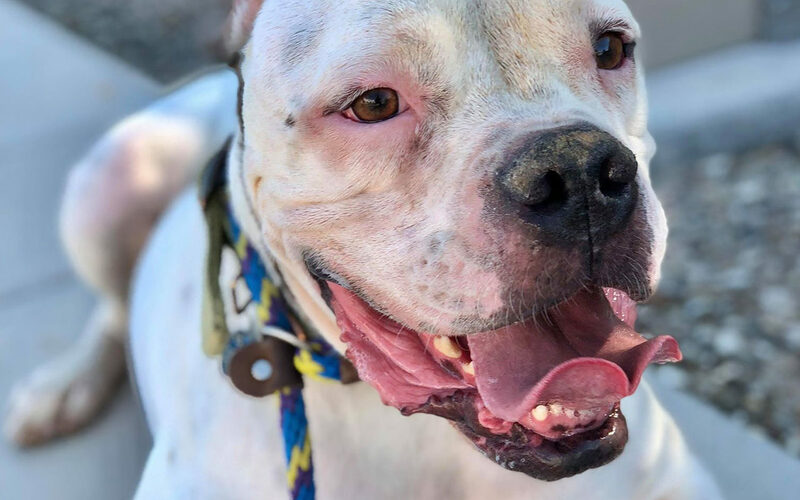 This entry was posted in Volunteer Work and tagged adoption, Animal Network, Boarding Buddies program, bully breed, dog boarding, Pawtastic Friends, rescue dog, shelter dog, VIP Pet Resort Las Vegas, volunteer. Follow ambassador King Von Nugget and his mommy Anneli on exciting adventures, heartfelt volunteer outings, fun events and meaningful charities. Take a behind the scenes peak at photoshoots, travel and meet special doggies. Here at RockStar Dogs, everyone is a VIP.